Our service isn’t old fashioned; it’s just SERVICE the way its supposed to be. 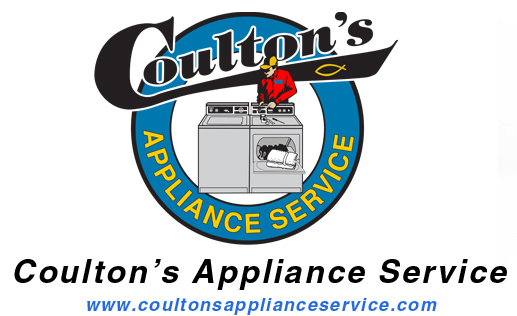 Coulton’s Appliance Service is San Luis Obispo County’s premier appliance repair specialist. Our long history of consistent, dependable service has earned us an exemplary reputation and loyal customer base. Our goal is to provide you with the best value possible and to repair your appliance(s) promptly and correctly the first time. Often, we are able to provide same or next day service with flexible scheduling options. We also offer a limited selection of common, fast moving parts that can be delivered to your home. And of course we offer friendly advice. We strive to provide the highest quality service at any price. Our experience comes from over 25+ years on the job with technical assistance and training for various brands including Whirlpool, KitchenAid, Roper, GE, Hotpoint, Maytag, Fisher and Paykel, Viking, Sub Zero, Dacor, Miele, Amana and Magic Chef just to name a few. Whether it's your clothes washer, dryer, refrigerator, freezer, dishwasher, range, cooktop, oven, microwave, compactor or disposal, we know how important it is to you that your appliance is up and working again with a minimum of delay and inconvenience. It’s because of our commitment to excellence that our customers return to us with the confidence that they have chosen the best. Our service isn’t old fashioned; it’s just SERVICE the way its supposed to be. Give us a call the next time you’re appliance goes on the fritz.